An Unforgettable Bed And Breakfast! 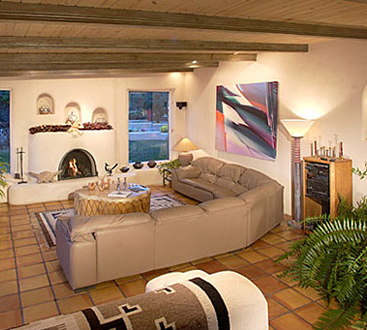 Your day begins in your B&B suite, with such Southwestern treasures as hand-carved furniture, kiva fireplaces and local artwork. After a bountiful breakfast, explore the cultural and active pursuits that make Taos, NM unique: the Historic Taos Plaza, art galleries and festivals, the 1000-year-old Native American community at Taos Pueblo, horseback riding, hiking, fishing, rafting and more. In the evening, relax on one of the beautiful patios and soak in amazing sunsets, incredible views of Taos Mountain and the star-filled New Mexico sky. One stay with our bed and breakfast and you’ll be coming back again and again! Yolanda is happy to speak with potential customers, so please just give her a call to chat, or to schedule a relaxing weekend away! Your hostess and Taos native, Yolanda Deveaux, is happy to share her knowledge of Taos and its history to make your stay an unforgettable experience. 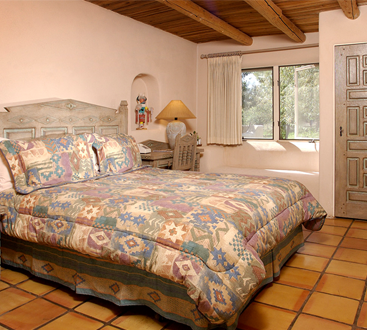 Our bed & breakfast is a 200-year-old lovingly restored hacienda with beautiful grounds and views, just a mile and a half from the Taos Plaza. It features eight large suites, with sitting areas, fire places and private baths. 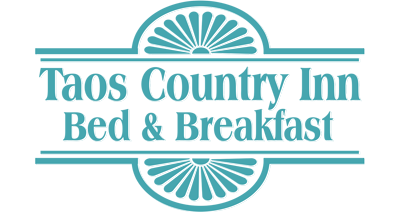 We also serve a full breakfast plus a breakfast buffet. Your hostess, Yolanda, is one of the few local bed and breakfast owners whose family history goes back many generations, and she is able to give customers a different and interesting insight on Taos.